A new store and a new restaurant will be coming to the area later in 2018. Macy’s will welcome the Baltimore area’s first Macy’s Backstage to its location in White Marsh Mall, on Saturday, June 2nd. Macy’s Backstage offers fashion-loving customers another way to shop at their favorite store by providing a store-within-store shopping experience featuring significant savings on fabulous finds. The new outlet store will have approximately 15,500 sqft. of dedicated retail space and will live on the second level inside the full-line Macy’s. 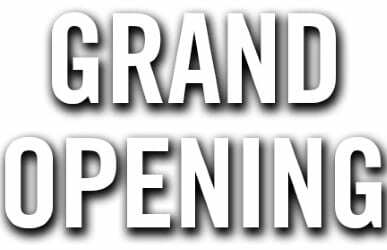 The grand opening will be celebrated with giveaways for the first 200 customers and special events throughout the day. Seven free-standing Backstage stores opened in the Northeast and San Antonio, TX in 2015 and 2016. In the subsequent years, Macy’s has opened more than 40 store-within-store locations, allowing customers to shop both merchandise offerings in one trip to their local mall. There are currently 70 Macy’s Backstage locations across the United States. Macy’s Backstage is operated by its own buying team who scour the world to find the most fabulous product at the best prices. This structure allows Backstage to deliver a constantly changing assortment of on-trend merchandise at 20 to 80 percent off traditional department store prices and encourages customers to return often to find new treasures. The wide selection will include fresh product from both new and renowned brands. The outlet store will also carry apparel and accessory brands not currently available at full-line Macy’s, and each Backstage location is specially curated to deliver the perfect style for each community it serves. Shoppers should expect great savings on apparel for men, women and children, as well as amazing deals on an eclectic assortment of housewares, home textiles & decor, cosmetics, hair & nail care, gifts, jewelry, shoes, designer handbags, accessories, and activewear. Macy’s Backstage at White Marsh Mall is located at 8200 Perry Hall Blvd, Baltimore, MD 21236. For updated store hours, please check macys.com. The store can be contacted directly at 410-931-2000. Thai Rainbow, a restaurant specializing in Thai-style food offerings, has leased 2,500 square feet of space at Greenleigh at Crossroads near White Marsh and is expected to open this summer. The next development phase of Baltimore Crossroads, Greenleigh at Crossroads is a 1,000-acre mixed-use business community containing residential, commercial office, retail and hospitality product types.